Time to purchase tickets to this year’s SWSF Gala! 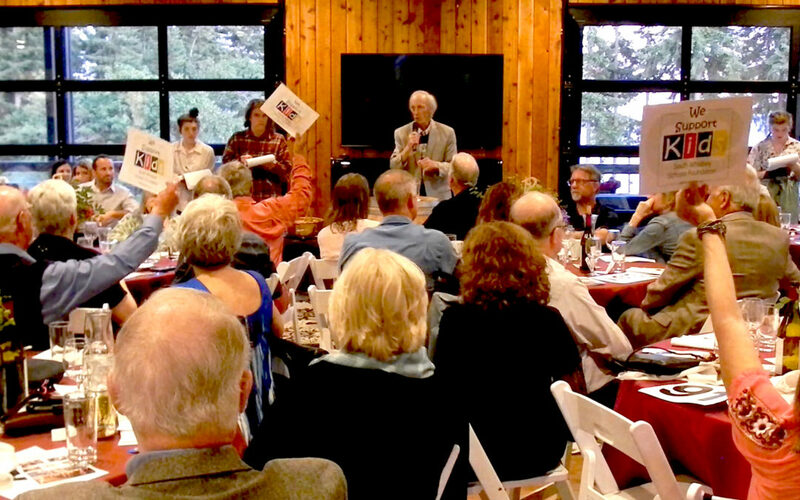 Last year’s South Whidbey Schools Foundation Gala sold out, so why not get your tickets early and ensure your place at the table? 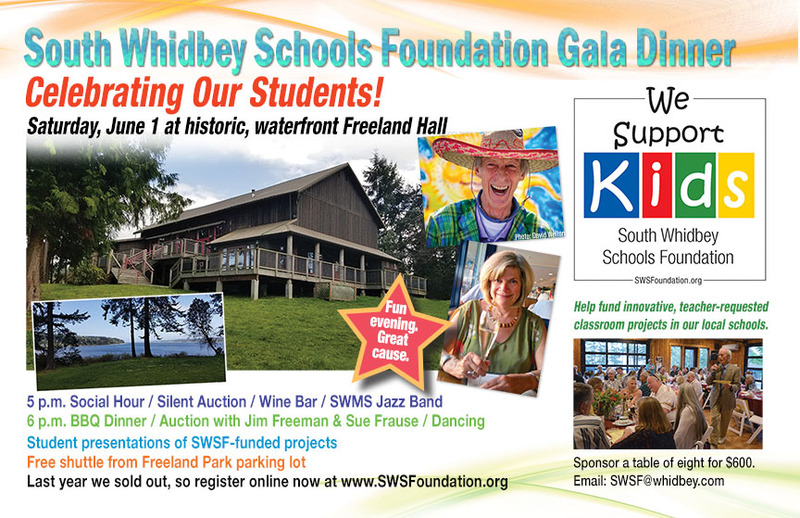 This year’s Gala Dinner will be held at the historic, waterfront Freeland Hall on Saturday, June 1 starting with a social hour at 5 p.m., exhibits from some of last year’s funded classroom projects, live music via the award-winning South Whidbey Middle School Jazz Band, a wine bar featuring local and regional favorites, appetizers, and a silent auction. The theme this year is “Celebrating Our Students” and will feature brief reports by several students on how the classroom projects that you funded through the Foundation have touched their lives. Emcees Jim Freeman and Sue Frause will conduct the evening’s auction of fabulous auction items and packages. We’re taking full advantage of this year’s rustic waterfront and wooded location to offer a fantastic BBQ selection of beef, chicken, pork and caramelized mushroom sliders on housemade buns by Blue Dog Catering. Each meal is served with: Caesar Salad with croutons, bacon bits, Parmesan, and diced tomatoes…Baked Beans…Roasted Corn with salted butter…Classic coleslaw with a cream dressing…housemade Mac N Cheese topped with panko and sumac…Potato Salad with scallions, bacon, and a Dijon vinaigrette… and Marjoram Cornbread.//For Dessert, we will be holding the famous “dessert dash” – delectable desserts made by local well known bakers.//And of course, we’ll have a fine selection of local and regional wines. And this year, THERE WILL BE DANCING! So come prepared to kick up your heels and have a great time. To sponsor a table of eight for $600, please contact Board President Shelly Ackerman at SWSF@whidbey.com. Thank you!